After a very successful Dx’peditions in 2008 to the Island of Mull and in 2009 to the Island of Harris the Camb-Hams have decided return to Harris for another DX’Pedition for 2010. 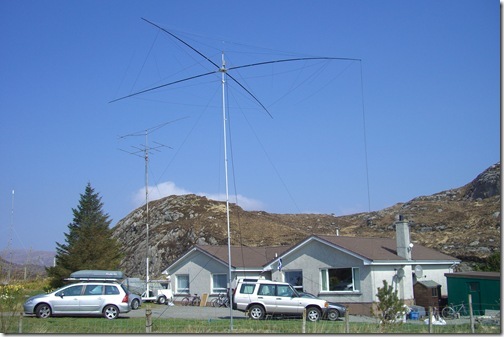 First off this is going to be a 2 week dx’pedition and this year we are going to concentrate on the bands which we found worked well from that location in 2009. We have decided on operating 2 voice stations on HF from the start, one HF data mode station, 6m and 4m SSB/data (JT6m) and 2m, 70cm and 23cm satellites. We will have limited tropo capability on 2m, 70cm and 23cm but will try and work anyone interested. 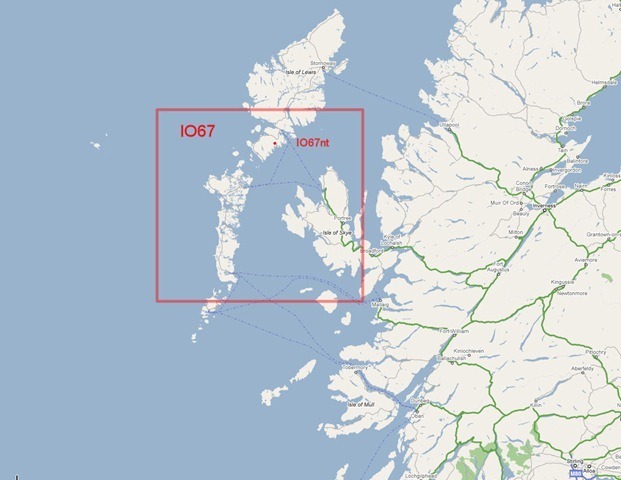 There will be some portable operation around the islands (possible interest to WAB chasers) but for the first time we have limited SOTA activity. 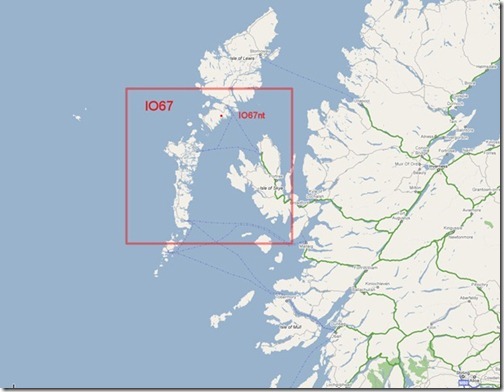 A few operators are planning to operate from the Monach Islands EU-111 for a few nights, this is weather permitting but only has 33% claimed by IOTA participants. The callsign for the trip will be the CRG (Cambridgeshire Repeater Group) callsign G3PYE, as the activation is in Scotland the prefix becomes GM3PYE/P but we mainly use GS3PYE/P. A big thanks to our sponsors who are showing the spirit of cooperation is still alive in ham radio. Each have donated to the DX’pedition is some way which will make it more likely you will be able to work us! 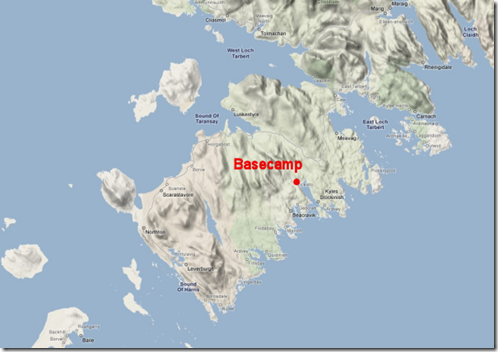 Basecamp is a holiday cottage near Liceasto at the head of Loch Stockinish on the East side of the Island of Harris. It has a good view to EU and a reasonable path through the hills to USA. The locator is IO67nt. Some people are going for both weeks and some just for the first and some just the second. Bob G1SAA (equipment supplier), Geoff G0DDX (data mode man), Rob M0VFC (ex 2E0EVJ – all rounder), Voi G0BOE (don’t go missing this time), Gavin M1BXF (VHF/Sats mad), Adam G1UAF (anyone need a femtocell? ), Mark M0MJH (hey you Jimmy! ), Terry G3VFC (Rob VFCs dad), Fred M0RFD (possibly the chief? ), Colin G4ERO (need something built? ), Lawrence M0LCM (he’ll sound like DX) and Martin G3ZAY (of RadCom IOTA fame). Last year we turned up at the cottage with some plans but not really knowing what to expect and found we were able to put up a full-size G5RV over the loch, a 6BTV vertical for data modes and our home made 20/15/10 Spider Beam on a 40 foot push up mast with arm-stong style rotation. This year however we now know what we can do, have more equipment available to us and so plan to have a much better HF antenna system. Last years G5RV was about 40 foot above the salt water loch, this year we are planning nearer 70 feet above the water by using the CRGs new 60 foot Fiat Ducato mounted Clark Mast for one end and some hills on the other. 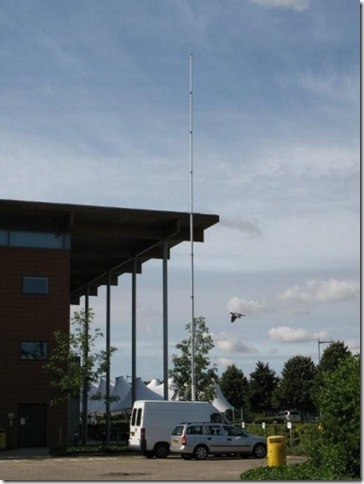 We will deploy single band antennas also for 40m, 80m and 160m. On top of the Clark Mast we will have the Spider Beam! :o) Radio wise we are planning 2 HF voice and 1 HF data for the 2 weeks with about 300w on the voice stations and upto 100w on the data, most data modes should be covered over the fortnight. The Isle of Harris falls into the Outer Hebrides group in IOTA. It’s reference is EU-010. At the time of writing EU-010 has been worked by 67.2% of IOTA participants which doesn’t make it rare! This year we have plans to visit the Monach Islands EU-111 (33.6% claimed) for about 2 nights during the first week, this as always is weather dependent so keep an eye on out diary page. The trip is being arranged by Martin G3ZAY and Rob M0VFC and possibly 2 others will head over. We will be active on 6m, 4m (4m/6m X-band also) and 2m, 70cm and 23cm satellites. 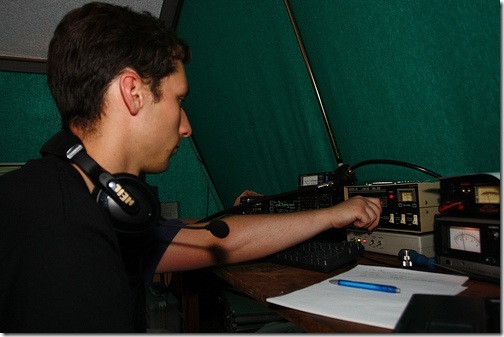 in 2009 we used a dual band 6m/4m JayBeam which although works well we found lacks the gain needed for when we are so far away from everyone else. For the 2009 VHF NFD the Camb-Hams worked hard to improve the groups 6m and 4m capability. 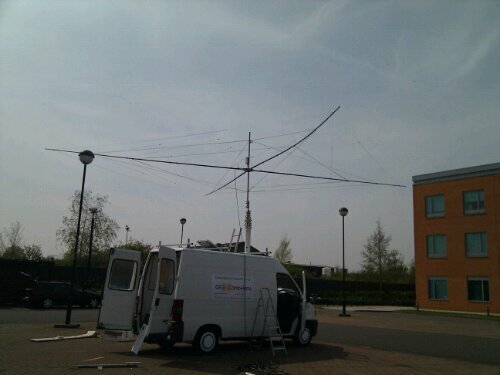 To that end Colin G4ERO built a 6 element 6m beam and a 7 element 4m beam, both based on YU7EFs designs. For 4m Gavin M1BXF also constructed an OZ2M transverter and modified a Bremi BRL-200 valve amp capable of giving 150w on 4m, the system allows for 4m and 6m cross band operation using an Icom IC-756pro3 as the 6m radio and 10m transverter source. Linear Amp UK have donated for the 2 week period one of their Discovery 64 amps (recently reviewed in RadCom) which will give us ample power on 6m now also. Both SSB and data modes will be used on the bands and hopefully with the dx’pedition being later in the year more openings will happen on both bands. As for 2m we found in 2009 we only managed 52 contacts for the week, about 10 per day and this was using an Icom IC-910HX, 400w and a 17 element Tonna, the location just doesn’t favour 2m so we don’t plan to operate 2m SSB or MS this year instead we are going to setup a 2m, 70cm and 23cm satellite station using the *Icom IC-910HX with Hygain OSCAR antennas on 2m (16 ele) and 70cm (30 ele) alongside a 20 element ring-beam on 23cm. We can muster 100w on 2m, 75w on 70cm and 80w on 23cm. * Kenwood are sponsoring us a TS-2000X which will probably be used on satellites now. The cottage lies in IO67nt and has internet access so you will find us on ON4KST chat (GS3PYE/P) or possibly MSN IM@Camb-Hams.Com.